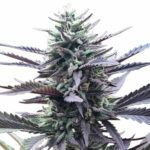 If you want something a little different try these Strawberry Kush seeds. Great heritage generates these strong, vigorous plants, producing great buds with a quick flowering time of only 55 days to reach peak maturity. 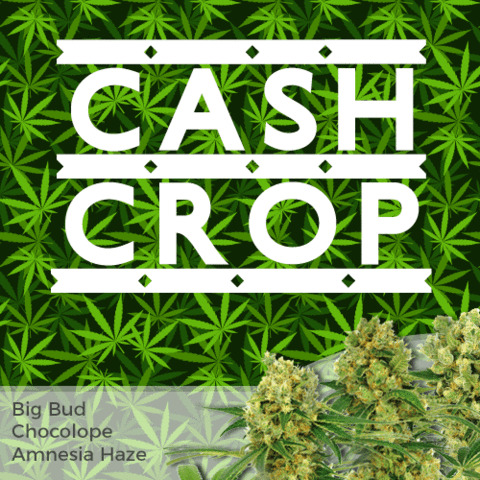 For such a heavy yielding plant, the height remains low, between 25-100 cm tall, a perfect strain for indoor growers, or in gardens where some discretion is required. 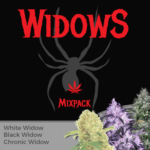 Strawberry Kush seeds are Indica dominant producing a strong, powerful body-stone, however, the inclusion of 25% Sativa genes also provides a satisfying high. Aromatic and full of flavor the buds are a joy to see, smell and taste, and with harvests between 450-650 grams of potent buds per square meter, there are plenty of them! Strawberry Kush seeds not only produce great looking buds and plants, the THC levels are good too, between 17-19%, with some medical marijuana users finding it useful in dealing with stress, reducing anxiety and tension, increasing appetite and a great natural pain killer. No male, no pollen, no seeds! That’s the promise you get when you buy our Strawberry Kush seeds. The highest quality feminized Strawberry Kush seeds guaranteed to produce female only plants. 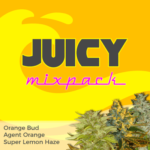 You can buy Strawberry Kush seeds in complete packs of 3, 5 and 10 feminized seed packs. 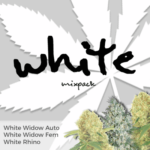 Each pack is included in the I Love Growing Marijuana delivery and germination guarantee. Find Out How To Buy Strawberry Kush Seeds.